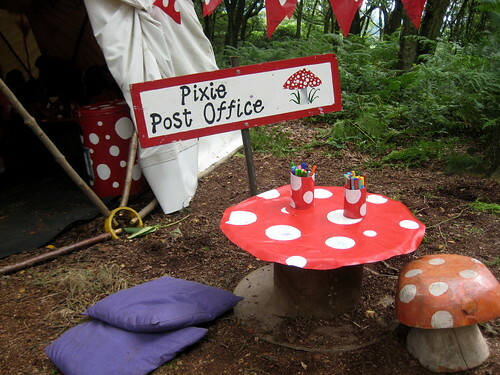 I’ve written before about making writing irresistible so children are encouraged to pick up a pencil and start writing and in my last post this week from the Just So Festival I thought you’d like to see their wonderful way to invite all the children to send someone a letter: a pixie post office provided by the FairyLand Trust. 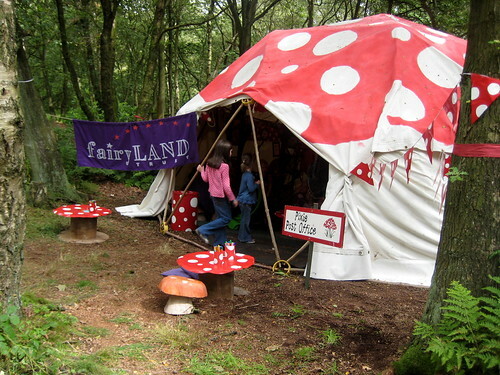 Which child wouldn’t want to pop inside this tent to discover what was on offer inside? :: create a special area for your post office: a tent, a huge cardboard box, under the kitchen table, a small table and chairs in the corner of a room. :: red and white paint, with some potatoes or carrots for stamping dots could transform anything into pixie land. How about making some red envelopes with white spots? Or a pixie postbox from a shoe box? This looks like such a wonderful place to play. how fabulous – what a fun place. 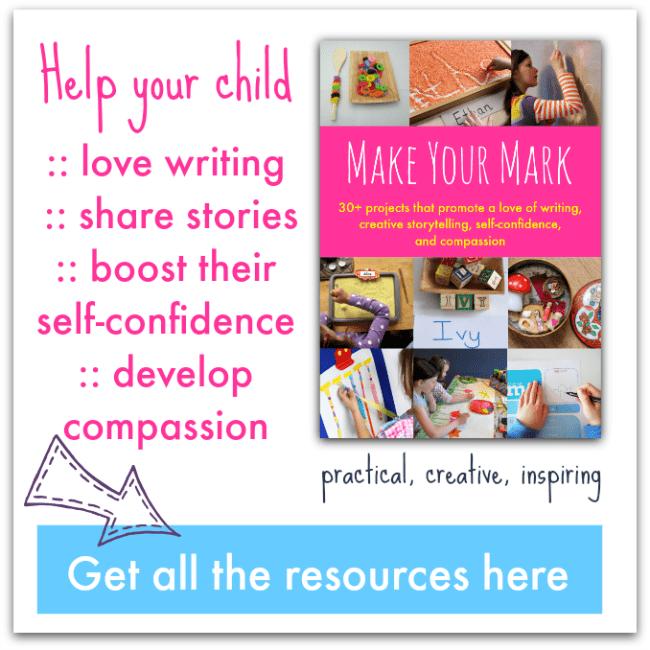 Definitely get the creative juices & imagination going!